The Cantilena (a simple or sustained melody) is not only the emotional heart of the new sonata by Nicolas Goodall, but the inspiration behind this CD. The three composers span the 20th Century, but all have a common love of the melodic line and the vocal quality of the flute. 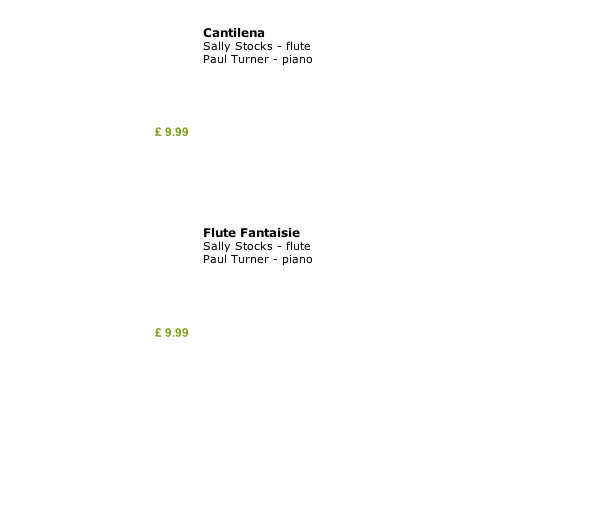 From the haunting solo of Debussy’s Syrinx, to the classic Poulenc Sonata, this CD presents a range of fantasy pieces for flute from the mid 19th to the mid 20th Centuries.